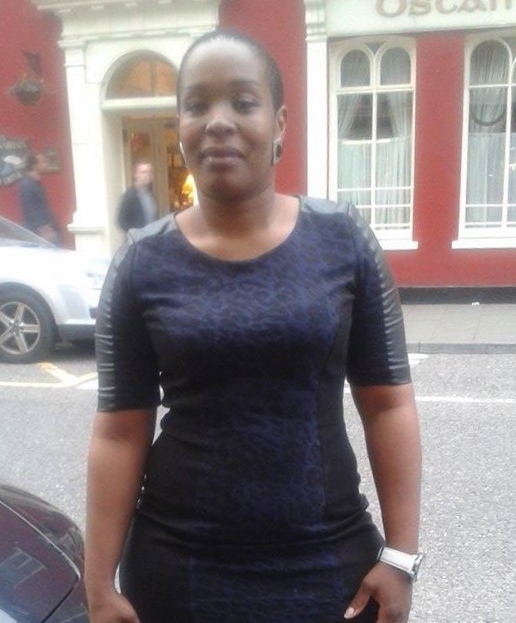 Phindile is a young South African woman who arrived in Ireland in 2014. She is an asylum seeker. Phindile has a little son, aged nearly 2 who is the son of a non-South African man. He was rejected by her family because his father is not a South African native. Phindile feared xenophobia and decided it would be safer for her son to leave South Africa. She has been staying in the Direct Provision centre in Clonakilty since her arrival and doesn’t think the authorities have even started looking at her case yet. She finds life in the Direct Provision system very difficult and tries to leave the centre as often as possible. During the recent xenophobic attacks in South Africa Phindile was worried about the reactions of the other Africans in the centre who would come to her blaming all South Africans for xenophobia while she was not involved in it. While living in Johannesburg, Phindile studied marketing and had her own business, she had a good life and she stresses that she is not interested in social welfare, and thinks the South African government provides better social care . Education and health care are completely free, and the Reconstruction and Development Programme was started to give every South African over 18 years a plot of land and even a house for those in need. Life became too difficult for Phindile and she hopes to start her new life in Ireland soon. As so many asylum seekers, Phindile is eager to start working, she also wants to educate the children of South African families about their culture. Phindile is a keen singer, she told me how important music and singing is in her homeland and how she finds it difficult to get used to the masses here in the catholic church. In SA, a catholic mass can last up to three hours because of all the singing, it is difficult to get used to the brief 45 minutes here and the lack of music in the church. Phindili speaks several languages but her mother tongue is Sotho. She speaks English with her son, but will teach him Sotho as well. Because of the many children in the DP, Phindile’s son is already speaking some Polish, which she finds quite funny. Posted in direct provision, Ireland, podcast, podcasts.Tagged Africa, belonging, Children's rights, culture, Direct Provision Centre, Ireland, migrants. Previous Post René Perrin from Cameroon works hard and loves to party!